This year I was lucky enough to have a personalised tour with a local where I got to uncover a couple of secret spots, that will undoubtedly bring me back for more. 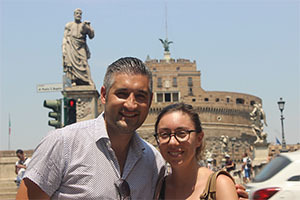 The vibrant and energetic local I am referring to is none other than fellow YouTuber and all round Italian enthusiast, Lucrezia, from the channel Learn Italian with Lucrezia who I was trusting with my schedule for the one and only day I was spending in Rome this year. 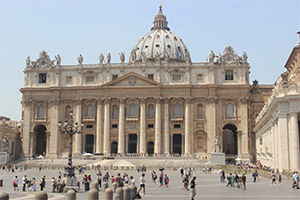 We started off bypassing most of the regular spots on a scorching Summer day and headed for St Peter’s Basilica. I told Lucrezia that this was a pretty famous spot so we couldn’t claim it as a secret…but she laughed it off as she had one objective in mind – to take me to the best vantage point that most tourists don’t know about. 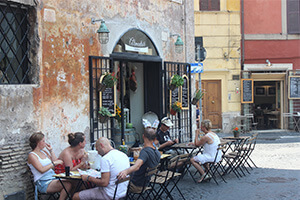 After checking this beautiful spot out and testing her theory, we moved on to the secret Rome not so far away that was as authentically Roman as you can get – but without all the fuss of the tourists. It is a gorgeous strip, full of people from the area going about their lives and filled with stores that withhold the town’s tradition – antiques. Watch the video to find out more and get a glimpse into my day with Lucrezia. Hopefully it will inspire your own Roman excursion to be an original one too.